While volunteering at a Miami homeless shelter, Leight, 15, noticed that the kids would turn on the television after finishing their homework, because they didn’t have access to books, Your Olive Branch reports. That is when the Coral Gables, Fla., resident was inspired to start a library for homeless kids at the Chapman Partnership’s Homeless Assistance Center in Miami. On May 14th, 2012, Smart Horizons Career Online Education went live at Florida’s Madison Correctional Institution. This marked SHCOE’s first step as an official provider of online education and career training for the Florida Department of Corrections. The Madison program is the first online secondary education program at any correctional facility in the United States. In the end those who get hired are often overqualified—college graduates being brought on to perform tasks that really require only a high school degree. At the same time, many others are shut out of work—even though they possess the attitude and general aptitude to be successful—for one reason: They lack prior experience. For years, adults have missed out on all the summer fun. The folks at the library hear your pain. Which is why, this year — for the first time — the Collier County Library system will have a summer reading program for adults. About 40 graduates were recognized at the ceremony, held at the Academy for the Arts, Science and Technology auditorium, while 150 qualified for graduation, and more will qualify after General Educational Development (GED) testing is completed June 23. The U.S. Department of Education estimates that 93 million U.S. adults have basic and below basic literacy skills, well below the skill level necessary to perform many jobs. 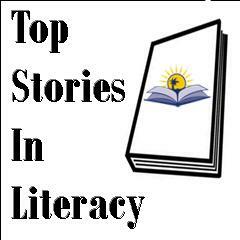 Recent studies revealed that 4 out of 10 working age adults don’t have functional literacy skills. Looking at Flagler’s and Volusia’s federal graduation rates, it is estimated that “well over 20 percent” of Flagler students could be considered dropouts, while “over 30 percent” of Volusia students could be dropouts, or someone who is unlikely to earn a diploma or GED within the next few years.